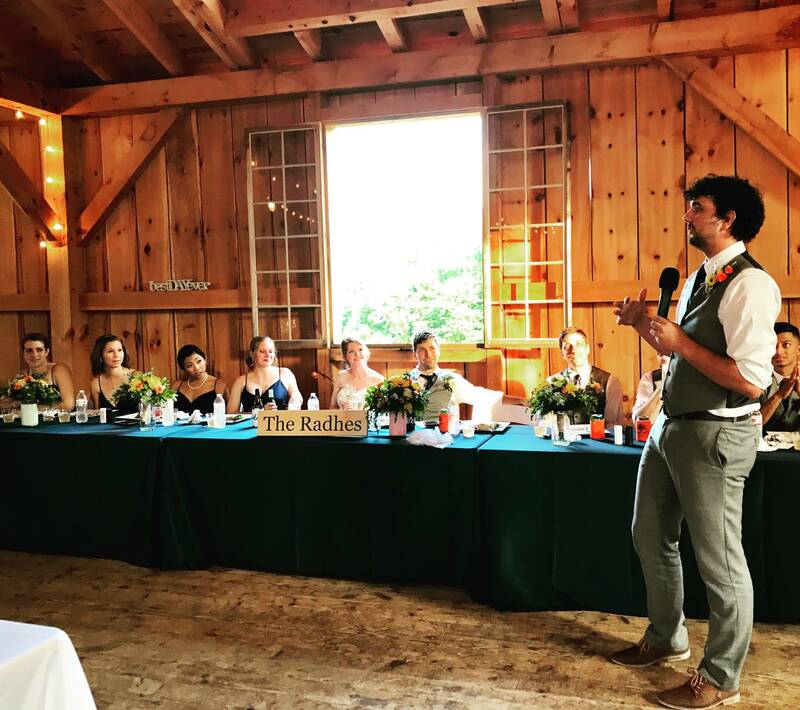 Katherine & Matt are husband & wife! 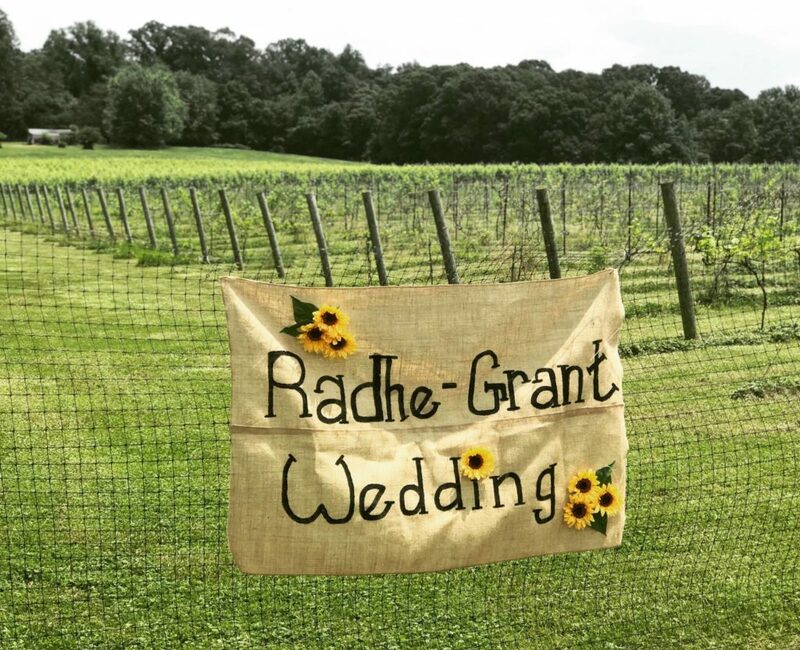 Their big day happened Saturday at the Vineyards of Mary’s Meadows in Northern Harford County, MD. 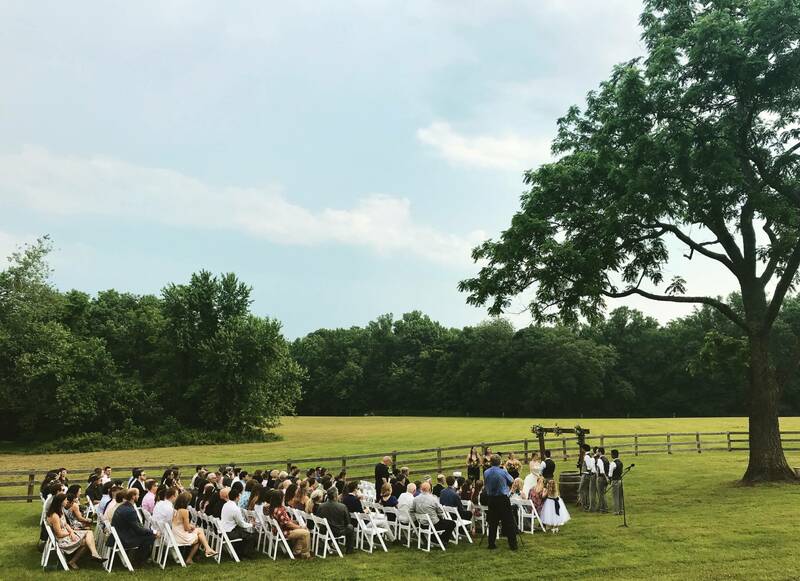 The sky was ominous, but the weather held out and Katie & Matt were able to be married outside, behind the Vineyard’s barn. 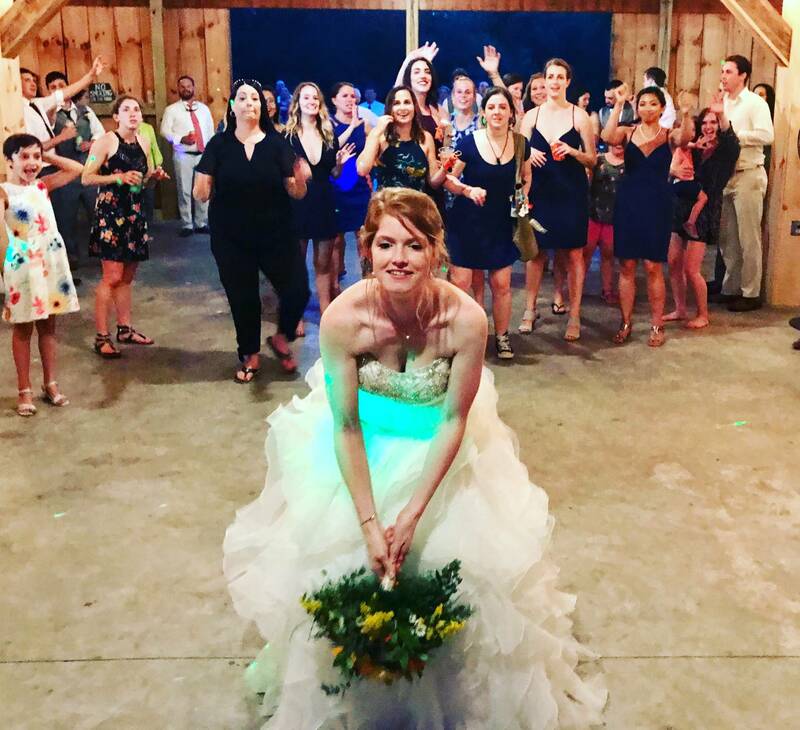 The ceremony featured a processional to an instrumental version of Ed Sheeran’s “Perfect” and a recessional to “Home” by Edward Sharpe & the Magnetic Zeros. 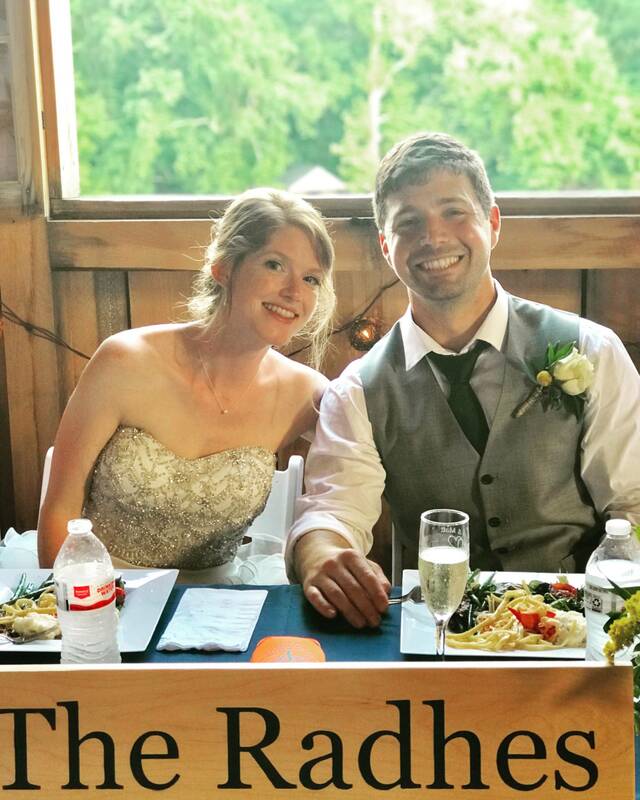 An hour of cocktails and appetizers followed the ceremony with some great food provided by Dinner On The Go Food Truck. DJ Frank Marsden invited everyone to the Barn’s upper area for toasts by Matt’s Father, Katherine’s Maid of Honor, Matt’s Best Man, and a wonderful buffet meal. Later on, folks were invited to the Barn’s lower area for formal dances and a party. 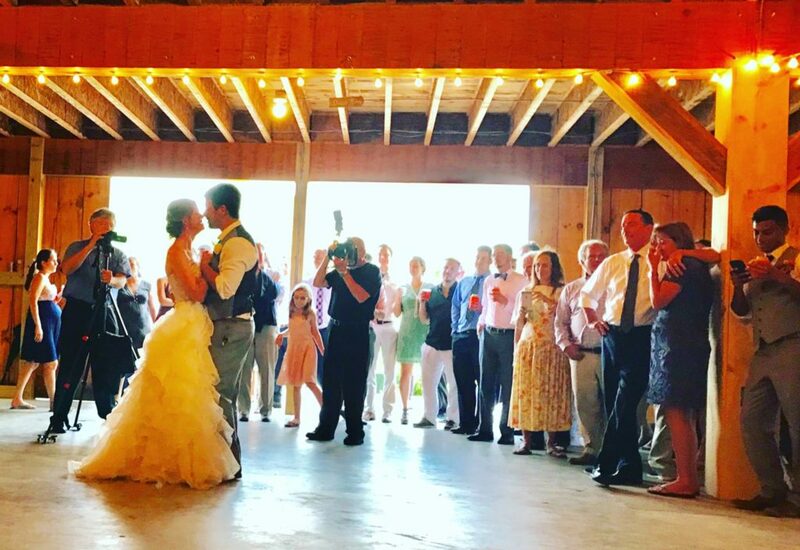 Katie & Matt started things off with a first dance to “Grow Old With Me” by Tom Odell. 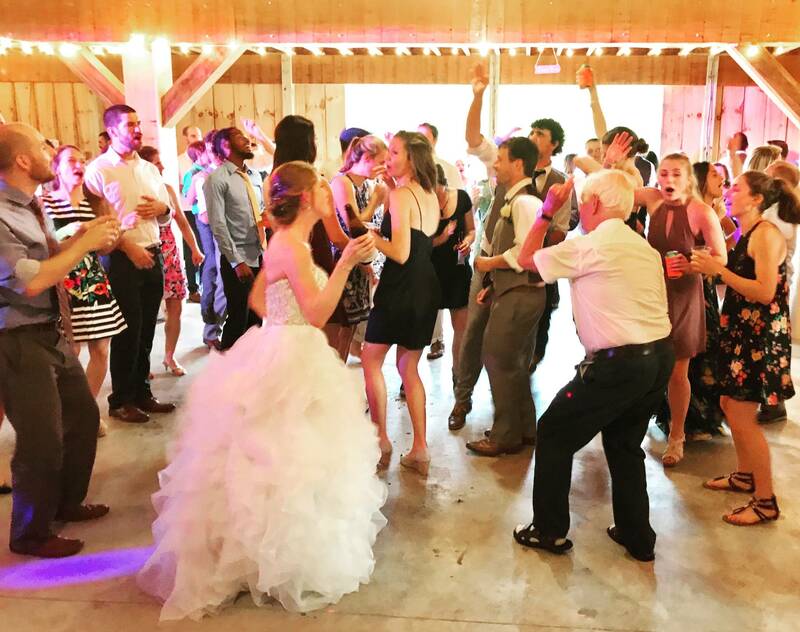 A Father/Daughter dance to “Forever Young” by Rod Stewart and a Mother/Son dance to Aimee Zimmerman’s “A Mother’s Love” came next, and then the celebration began with folks singing along and dancing to “I’m Gonna Be (500 Miles)” by The Proclaimers. 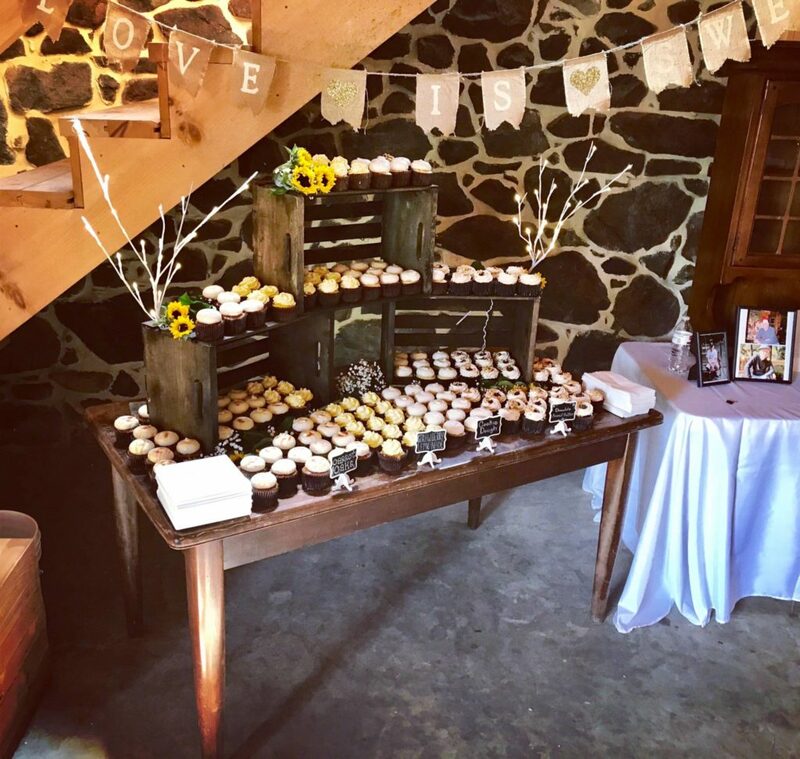 Guests enjoyed cupcakes, drinks and a super fun dance floor full of party people! Music by artists such as Bell Biv Devoe, Outkast, Rihanna, Blink 182, R. Kelly and many more made it happen. 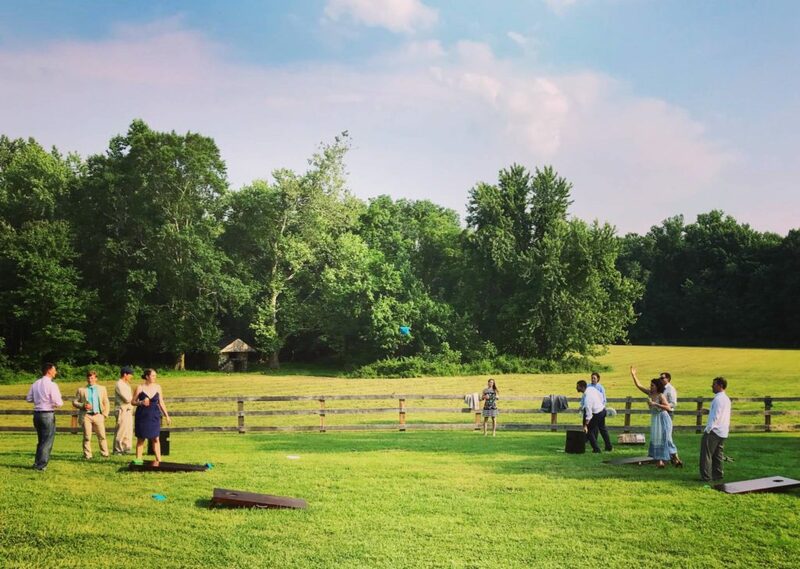 The Bride tossed her bouquet to Beyonce’s “Single Ladies” and then the party continued. 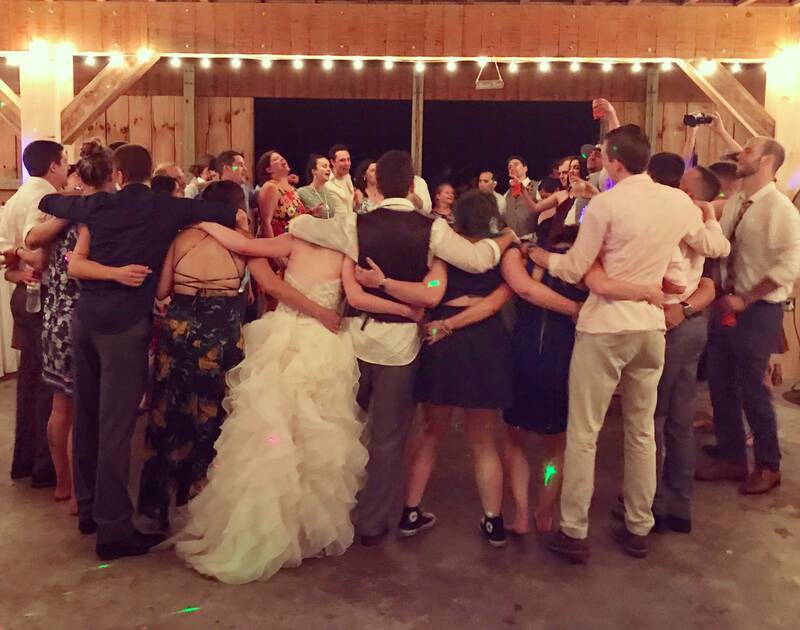 Everything about Katie & Matt’s big day was amazing and it ended with an epic sing along to Queen’s “Bohemian Rhapsody”. 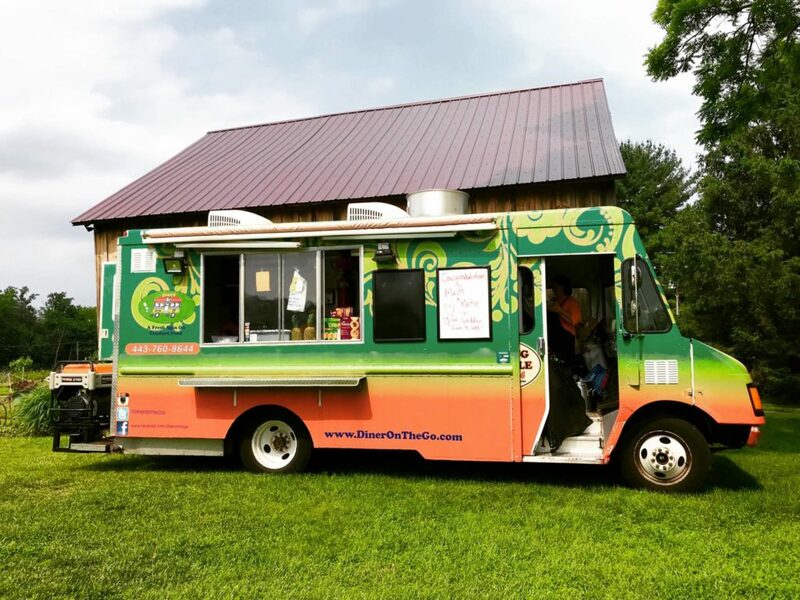 Thanks to Katie & Matt for allowing us to spend the day with them and high fives to the Vineyard’s crew for another successful event in Darlington, MD.